LGP can provide comprehensive and up-to-date guidance on Employment Law and practice and can offer specialist guidance in all areas of this complex and ever-changing area of Law. LGP can provide help and guidance in relation to corporate, commercial, pension, tax, share schemes, data protection, litigation and restructuring from an employment perspective both for the employer and employee. There are a number of ADR capabilities available to all parties in dispute such as mediation, adjudication and arbitration. Some of the processes are binding or can be non-binding and your choice of ADR is always dependent upon the circumstances of the dispute in question. Resolution of disputes via Courts or tribunals is always a last resort and we can advise generally in relation to both procedure and hurdles that have to be overcome to successfully bring or defend your claim. Often any dispute or ending of employment is dealt with in a civilised fashion by way of a Settlement Agreement setting out the terms of any agreement to avoid any doubt as to the parties rights and obligations post termination. Such agreements are often complex and often require legal advice to be given to enable them to be binding. The relationship between employer and employee must be clearly defined to avoid any misunderstanding about rights or obligations and to avoid implying terms into a contract that one party would not wish to see. We can assist in drafting or negotiating such terms or explaining the obligations of the parties both expressly within the contract and implied outside it. Directors have unique and far-reaching obligations both to their company and third parties that deal with their company. This will include suppliers, employees and other contractors and a full understanding of directors duties is a pre-requisite to setting-up in business. The procedure for employers and employees to follow is normally required in cases of misconduct or poor performance. There are strict rules in relation to the fairness of such procedures and failing to follow the right procedure can, of itself, lead to an unfair dismissal claim. We can help employers and employees strengthen their position in advising on such matters. An employer’s action or inaction can give rise to a discrimination claim in respect of many specific protected characteristics including age, disability, gender, pregnancy, race, religion, sexual orientation and others. If you have any concern that discrimination has occurred there can be serious consequences leading to litigation or an application to the Employment Tribunal and any investigation into discrimination should include taking legal advice at the earliest opportunity. UK Data Protection Law will change on the 25th May 2018 when new EU general data protection regulations take effect. Processing employee data is a rapidly changing area of responsibility for employees as is all data protection issues in commercial transactions. We can help you know your rights and obligations in this complex area. Employment status determines the different rights that attach to both employees and workers. There is a fine line to be drawn between being an employee/worker/self-employed or agent and documents purporting to state one such status may actually not reflect the true nature of an employee’s status when one looks at their entire working environment. This can have far-reaching implications both in respect of employee compensation and employer obligations including the rights employees have as opposed to those of another status. Specific rights attach to individuals when one considers their working rights and obligations when viewed in the family context. Such matters can range from discrimination while pregnant to rights for parents or carers to absent themselves from work and knowledge of rights and obligations is highly likely to avoid unnecessary confrontation in the workplace dealing with such emotive issues. Basic Human Rights Law affects every aspect of day-to-day life dealing with matters from equality to slavery to the right to respect private and family life. The requirement to consider human rights in all aspects of legal work is paramount and affects all aspects of employee and employer relations whether in relation to issues as diverse as discrimination or computer records. A partnership or an LLP is a corporate body and as such can do all a legal person can do including employ persons and enter into agreements between either partners or members and employees. It is important that any separate legal entity is identified and its legal obligations to employees understood and documented and appropriate contractual documentation exists to fulfil obligations between such bodies and their employees and to ensure compliance with requirements to third parties such as HMRC. Entitlement to pay and benefits often forms the root of all contracts of employment and it is important to understand and document all benefits payable and received in an employment situation to include matters such as bonuses, directors remuneration, pensions, salary sacrifice, share schemes and the National Minimum Wage. Difficulties can arise in relation to unlawful deductions from wages and a complete and proper understanding of what is available for the benefit of employees and employers is necessary. It is important to understand the potential pitfalls for an employer when recruiting for their business. Legal issues arise from matters that can include discrimination and data protection issues and we can assist in the practical steps to be involved in the recruitment process from identifying the vacancy through to advertisements and making offers of employment. It is a sad fact that unless the redundancy process is handled properly an employee may have a claim against an employer notwithstanding their position actually being redundant as defined in law. Proper and full advice should be taken by employers in relation to prospectively making employees redundant. Employees in turn should always take advice in relation to their position on redundancy to ascertain that their employer’s legal obligations have been complied with in full. Compensation claims can quickly follow if procedures are not met and adhered to. Post termination restrictive covenants and contracts of employment can cover a wide range of scenarios and may be industry specific. The protection of employers’ rights and business practices must always be balanced against the freedom for an employee to seek employment as they see fit. Covenants to protect solicitation of customers, clients, suppliers, other employees or general competition must be finely drafted to ensure their enforceability and we can advise in relation to the enforceability of such covenants should they already exist or assist in the drafting of covenants for business owners. Intellectual property rights to include copyright and trademark matters are a complex issue requiring expert advice failing which any protection required may be lost forever. Businesses and employers often require urgent and detailed advice in relation to the process of disposing of a business or assets of a company in financial distress together with the requirements to comply with legal obligations to employees and third parties. Employee’s sickness and injury raises many issues for employers and employees including determining the right to sick pay and other benefits, the need for investigations and medical reports and the impact of unfair dismissal and disability discrimination law. It is important to ensure that issues relating to sickness and absence are dealt with quickly, sympathetically but firmly. Severance payments made to employees on the termination of their employment can arise from a variety of situations such as wrongful dismissal, redundancy, unfair dismissal or a simple ex gratia payment. The question of income tax and National Insurance contributions must always be considered and employers’ liability for this as well as the employees potential liability are factors that must be taken into account and can significantly complicate the costs of any settlement. The important thing to consider at the date of termination on how such payment will be taxed and subjected National Insurance. Terminating employment can present many problems both for employers and employees. Notices are usually required to lawfully terminate a contract of employment and all parties need to understand the relationship between statutory and contractual notice as well as the mechanics for giving such notice and the rules for determining when the notice takes effect. The repercussions of giving inadequate notice include claims for wrongful dismissal and unfair dismissal as well as potential allegations giving rise to a discrimination claim. The transfer of undertakings regulation provide for three concepts. The first is the principle of automatically transferring an employee to a new employer who inherits all their rights, liabilities and obligations to the employee. Secondly there is protection against dismissal in connection with the TUPE transfer and thirdly there is an obligation to inform and consult with representatives of the affected employees. TUPE is always a matter to consider in relation to business deals and must be considered as an important part of commercial advice to employers. Employees in turn must ensure that they receive all the benefits that they are entitled to upon a transfer of a business to a third party. An employee who has completed an applicable qualifying period of service has the right not to be unfairly dismissed. Dismissals can be unfair unless an employer can show the reason for the dismissal is one of five potentially fair reasons, or that the employer acted reasonably in treating that reason as a sufficient reason for dismissal. In cases of misconduct or poor performance there are certain recommended procedures employers should follow prior to dismissing the employee. In certain circumstances dismissals can be automatically unfair if proper procedures have not been complied with. An employment tribunal can order an employer to re-engage or reinstate an employee who has been unfairly dismissed, or to compensate them for any financial losses arising. Whistleblowing refers to the act of reporting or exposing wrongdoing either within an organisation or to external third parties such as a regulator or news media. Many organisations have a culture that discourages the reporting of wrongdoing and the law now protects certain employees in certain circumstances from exposing any wrongdoing at work and any dismissal where whistleblowing is the principle reason for an employee’s actions may be automatically unfair and lead to a damages claim against an employer. It is important that both the employer and employee are aware of their rights an obligations in these circumstances. Specific rules and regulations exist to regulate the hours of work undertaken by an employee together with the requirement for rest periods and rest breaks and holiday entitlement and holiday pay. The calculation of such entitlement can be complex and depends upon the individual circumstances of an employee’s contract of employment and the requirement for an employer to take into account employee’s rights to both contractual and statutory holidays. Employers have a requirement to protect workers’ health and safety and to take all reasonable steps to ensure that employees remain safe no matter what the nature of their employment. 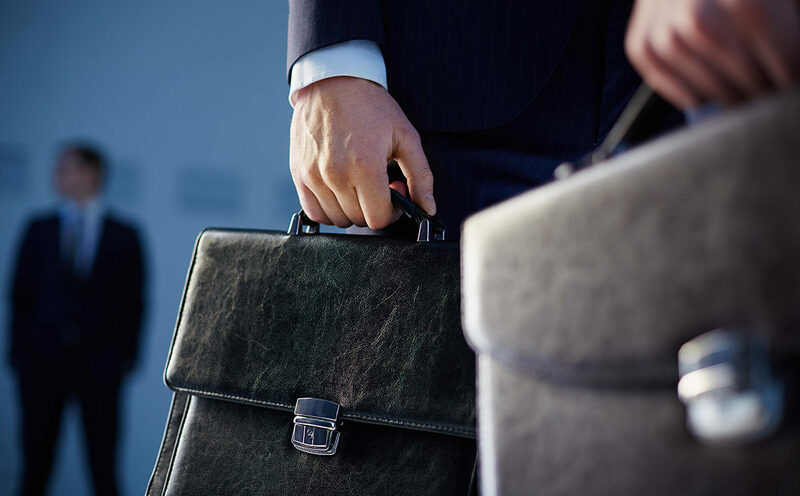 Advice is tailored to the individual requirement of both the employee and employer and LGP has the ability to connect with other specialisms with our corporate and commercial solicitors to provide advice suitable for any situation. Whether you are a company or business organisation requiring advice in relation to employees, or an employee, concerned in some way regarding their own position we can assist. Our solicitors will be able to guide you through both the legal requirements and the pragmatic business objectives necessary to enable you to keep up-to-date with both the relevant law but also to assist in resolving any potential disputes that may arise or conditions imposed upon employees such as within settlement agreements. Knowing that you have had proper and detailed legal advice allows you to make informed decisions about your employment or employees and your legal obligations towards them.